The hosts will once again look to overpower the inexperienced West Indies. West Indies won the toss and decided to first in the second test against India here today. West Indies have made two changes, Jason Holder and spinner Jomel warrican come in for Keemo Paul and Sherman Lewis respectively. For India, Shardul Thakur became the 5th debutant this year. He replaced Mohammad Shami who has been rested. 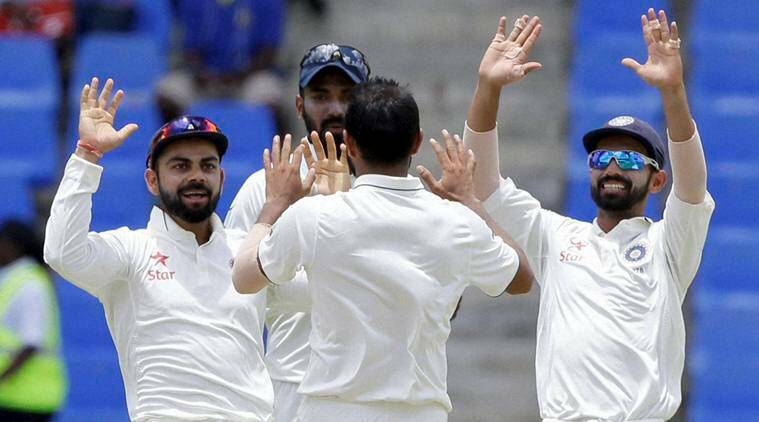 The last time five players made their Test debut for India in a calendar year was in 2013 (Mohammad Shami, Rohit Sharma, Ajinkya Rahane, Shikhar Dhawan and Bhuvneshwar Kumar). India leads two-match test series 1-0, having beaten Tourist by an inning and 272 runs in Rajkot Test last week. India: Rahul, Prithvi, Pujara, Kohli, Rahane, Pant, Jadeja, Ashwin, Umesh, Kuldeep Shardul. 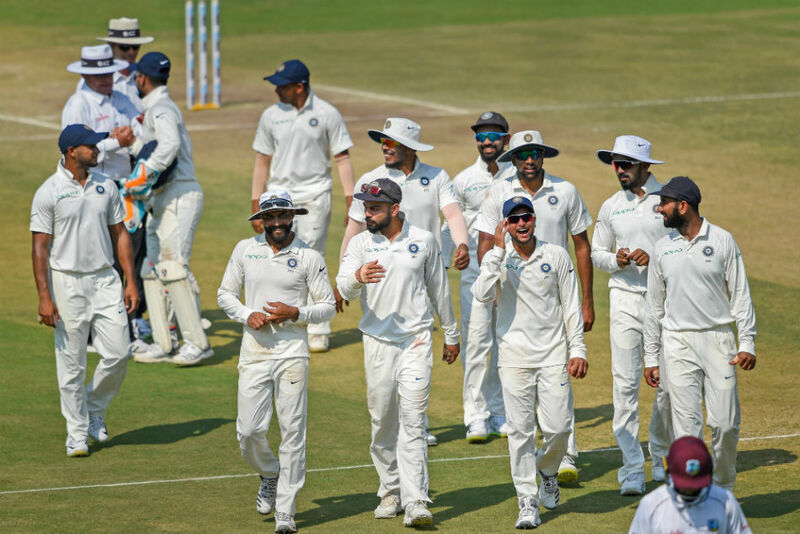 India will aim for a clean sweep when they take on the West Indies in the second and final Test at the Rajiv Gandhi International Stadium, starting here on Friday. India had completely dominated the visitors in the first Test as Virat Kohli's men had dismissed them twice within two days to win the issue by an innings and 272 runs.